Have you ever had a spiritual experience that changed your life? 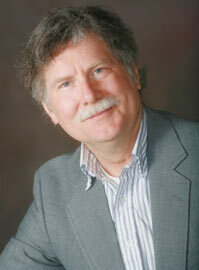 Submit your stories to Ken at kmaclean@ic.net. If appropriate, we will post a link in the newsletter so the whole list can read them. 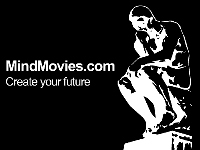 A New movie is coming in early Spring! an explanation of how and why current events are being driven by a change in human consciousness. 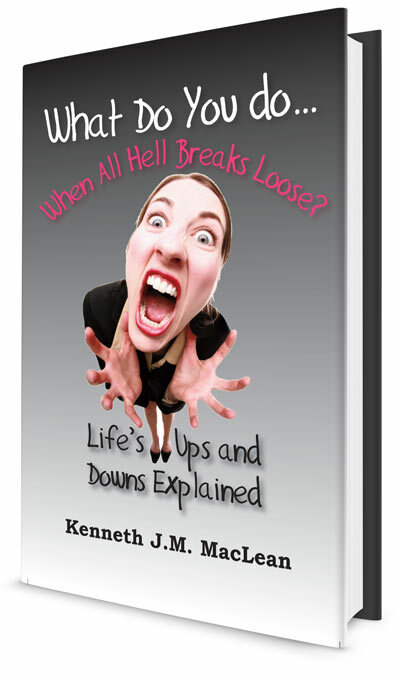 What Do You Do...When all Hell Breaks Loose? Why does a positive goal often bring about negative results? There is perfectly understandable explanation for why this happens! Allright, we promised you further exposition on the subject of our last talk. What we would like to tell you is about something that is not obvious at all from the physical, human perspective. There has been what we would like to call a Pause in the consciousness of humanity. By that we mean that more and more of you are taking a look at your lives, and wondering what you are doing with them. Many of you are being forced to do this by changing conditions. For some of you, life is getting more difficult. Naturally, when life gets harder, there is a tendency to look inward a little more, and ask yourself why you are doing the things you are doing. Naturally, this leads to a greater awareness of Self, and a greater awareness of your state of being that has created the life you are leading. All of this is occurring, as we said before, because of the tremendous population increase. Dear Ones, this is a very good thing indeed. We know that some of your scientists and sociologists have told you that a booming population will strain planetary resources to the limit, and that more humans on earth is bad thing. These opinions all stem from the idea that there is only so much to go around. Those who control the extraction and distribution of fossil fuels are wedded to this idea, because they think that it benefits them. Well, in the sense of a big fish in a small pond it does! The reality is that there is almost infinite energy, contained within the very fabric of space. We said earlier that the consciousness of humanity was in a Pause. Many of you are simply taking another look at your lives, and this is causing an energetic sink, which is gathering more potential energy around it. Think of the bathtub drain and the vortex of water that collects around it for a visual. Of course there are still millions of you engaged in the “rat race,” and who think very little of anything except the accumulation of wealth or resources. But even many of these dear ones, faced with tougher economic and political conditions, are beginning to wonder what the point of their lives are. Collectively, the human race is pausing to take a deep breath, and potential energy is collecting around this energetic sink, somewhat like energy swirls around the eye of the hurricane. The question is, how will that energetic sink be filled? With what thought forms and intentions will you fill it? We see the potentials building up around the Pause that will act as a catalyst, a sort of energetic pulse, that can move the consciousness of humanity forward. You see, dear ones, its all about thought and intent. The electromagnetic energy you observe with your human eyes, as well as the physical objects which compose them, are vibrational in nature. Because the receptor cells within your physical body resonate to a certain bandwidth, your reality appears in a certain way, That reality is directed, literally, by the collective agreement about what is real and what is important. When you change your thought and intent, your physical reality alters. That is because you literally change the physical cellular structure within your bodies, which then resonate to a different, or broader, set of vibrations. You then become aware of new physical laws that were not apparent before. Your conception of your reality literally changes, due to a change in your thought and intent. And because you are all native state beings associated with physical bodies (which are themselves vibrational constructs) the more people that gather together increases the likelihood that you will perceive yourselves as native state beings! Think of a meeting between two people. If one person has an idea, he or she can usually prevent that idea from being perceived by the other person. However, if there is a gathering of 100 people and 20 all have a similar idea, it becomes much more powerful, and the likelihood that it will be communicated to the group is much greater. And so you see, the impetus for the evolution of consciousness really does come from the increase in human population. As Ken would say, the more, the merrier! We have already explained, in previous messages, why you are going through some exciting times on planet earth right now. It is necessary to clear out the old memes before the new ones can become dominant. These old memes must be dramatized on the physical stage of reality so that the collective can examine them, and decide whether to go in a new direction. This is the process you are involved in now. More and more of you ARE deciding to go in a new direction! It only takes a minority of agreement on a planet with 7 billion persons to create a powerful thought form that can be accessed by the collective. And because all of you are native state beings, the more in-tune with Source are your thoughts and desires, the more powerfully they will resonate! And we would like to say here that events may have to accelerate in what appears to be a negative direction to wake up enough of you to examine your lives. This is what the Pause is doing. While humanity is pausing, those with agendas will continue to work toward a less-bright future. That is necessary, as we have told you, in order to increase the contrast between what you really want and the current reality. But of course, as we said last week, this “dark” agenda is going in the wrong direction! The so-called “dark” agenda is becoming more and more vibrationally incompatible with the new thought streams being created by you, that are resonating more to Source. Nevertheless, it is necessary for all of the encysted memes within the mass consciousness to come forward for inspection. This means that there may be further events like the tsunami in Japan and in Indonesia, or the earthquake in China. But we assure you that these incidents, IF they occur, will be localized only, and only occur with the agreement of those affected (we talked about this in a previous message). Therefore pay no attention to those who claim World War 3 will begin, or a planetary disaster that will adversely affect life on earth. The evolution of consciousness has now proceeded too far for that to occur. Our message this week is that humanity is beginning to pause, to hold its collective breath. Within this “breathing space” is the opportunity to fill the potentials that surround this vortex with thought forms that resonate to love, harmony, and abundance for all with harm to none. And remember that all endings are happy endings! Well Guys, what have you to say? The last message about the Pause was interesting; what is happening behind the scenes on planet earth? We would like to talk about what Ken calls "the prison planet," which will lead us into a rather complicated discussion about consciousness and how consciousness can change things in the physical. 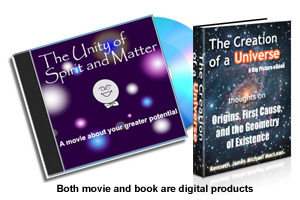 This is the first in a series of messages in which we will gradually clarify the relationship between the spiritual and the physical, and allow you to see more clearly how manifestation occurs in the physical universe. So bear with us today, because we are explaining concepts to Ken that he has not yet been able to get his mind around. We will be repeating ourselves, going over the same ideas from a number of different angles. Ken has the idea that the earth is a degraded place where rogue ETs have taken over the psyches of humankind, and have manipulated human beings both genetically and spiritually. But as we tell Ken over and over, the human race has complete control over what manifests on planet earth. If you do not like what you see, you have only to change your collective minds. We mean that absolutely literally. Your universe is inhabited by beings of every description, but all of you are on vibrational islands. In other words, all of you resonate to a certain bandwidth of frequencies, and your personal reality reflects precisely what your state of being is. 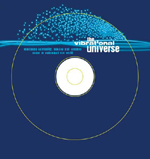 (The same principle applies to the various dimensions and realities of the All-That-Is itself: each dimension or universe has its own unique set of vibrations) If you are a peace-lover who truly resonates to peace, you will never meet a violent person (unless you consciously choose to do so, of course). The universe has been arranged to protect you; that is because the recipe is "like attracts like." Violent persons attract those who resonate to violence (including those who are afraid of violence). Joyful people attract joyful persons. Only when your state of being becomes sullied with ideas like "a violent person loves to pick on a joyful person" can you attract a violent person. You are all standing on the vibrational island of your choice. This idea is not understood, mainly because many of you believe in the fable, the fairy tale, called the biological basis for consciousness, which opens you up to all sorts of limiting ideas about yourselves and the universe. Let us state this categorically: your state of being establishes your resonance and determines what vibrational island you are standing on. A state of being is a conscious being's orientation toward something. It is essentially a firm decision about something. A state of being creates a mental/emotional platform of attraction that generates an intention, and an attitude, toward something. Now this has nothing whatsoever to do with your physical body. A state of being is a creation of consciousness. All of you are native state beings -- a completely individual, but non-physical creative potential -- an aspect of the One consciousness -- that is temporarily associated with a physical body. A state of being is established by your conscious intention, and has nothing to do with the physical body you are in. Regardless of your present position in life, you can change your state of being and manifest something different. So, let us say again: if you do not like what you see manifesting on planet earth or in your lives, choose again. Establish a new orientation and watch your lives change! How does a state of being establish your vibrational resonance? Well, think of the magnetic field that surrounds a magnet. You have all seen pictures of the lines of force that curl around the magnet. However, these lines of force also radiate out into the ethers -- filling the planetary envelope, and reaching beyond to the rest of the universe. The universe itself is what might be called an infinite, unmanifested potential out of which energy and objects can come forth. The variety of what can be manifested is dependent only upon the creativity of those who participate. This unmanifested potential, which is everywhere and everywhen, is what we will call the universal field. What you see surrounding the magnet is a local field which has been activated from the universal field. All physical things are a geometric arrangement of energy (manifested potential) resulting from an excitation of the universal field. To understand this, think of an ice crystal that forms in a cloud. The cloud is just amorphous water vapor, but when the temperature cools enough, the water droplets freeze and form solid crystals. In physics this is mundanely explained as just a phase change from the gaseous state to the liquid state to the solid state, and the activating factor is a temperature change. Yawn -- how boring. If you look a little deeper, however, you find magic. A conscious being has the ability to interface directly with the universal field! In other words, the universal field is excited by the thoughts and intentions of conscious beings, and what is just a potential can become something that manifests. It is like the magic stories in your fairy tales. The magician gets an idea in his or her head of what is wanted, he waves the "magic wand," and viola! A manifestation. What we are saying is that a state of being creates a local field around your body that resonates to what you have chosen. If you choose to believe that "only chumps are generous," then you will probably experience a life of scarcity. If you believe that "all men are jerks," you probably will not have any successful relationships with men. Your decisions create a local resonance that also spills out into the world at large. Can you not "feel" a grumpy person? Certainly you can. If you come close enough you can feel the local field that he or she has created. Similarly for a joyful person, or a passionate person. Coincidence, luck, and happenstance are the effects of your personal resonance that spills out into the ethers. The stronger you feel about something, the more interaction you will have with others, because the amplitude of your intention can be felt within a wider sphere. All of you are literally broadcasting stations into the universe! Therefore, your collective state of being has resulted in the conditions you see on the planet today, and in your personal lives. But those conditions can be changed rapidly with a change in your collective state of being. That is the message we have for you this week. The process of changing your state of being is what we have been calling the "evolution of consciousness." It is enormously powerful. Physical manifestation of anything proceeds from your thought and your intention. If you think that you live on what Ken calls a "prison planet," then look to your state of being to determine why this is so. And look to your state of being to change it for the better! Let's go back to our magnet, and the magnetic field that surrounds it. How does the magnet generate the magnetic field? This is similar to asking, "how does a state of being create a vibrational resonance?" Well, it is like magic. 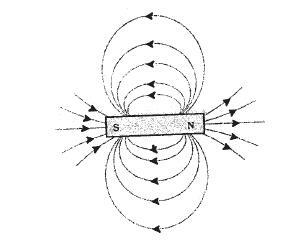 Basically, the magnetic field appears around the magnet as a condition of the magnet's existence. Does the local field (magnetic field) create the orderly arrangement of atoms within the magnet? Or does the orderly lining up of the atomic structure within the magnet create the magnetic field? Well, these are not the correct questions. These are linear questions, and the process is dynamic and non-linear! Really, the most accurate answer is that the entire process is magical, because the real action is taking place on a physically invisible substrate. In other words, a magnet and a magnetic field are inseparable, just as a state of being and the resulting vibrational resonance. In a magnet, the magnetic field (the local field) and the magnet itself originates within the universal field. Both the magnet and the field is generated from an intentional arrangement of the energy that composes both the magnet and the field. This "intentional arrangement" of energy is what we have referred to in previous messages as an information system. All physical things have a programmable field, or template, surrounding them, that contains information that describes the object's physical form and function. This programmable arrangement is not detectable or measurable on the electromagnetic set of frequencies, just as the thoughts of the architect who creates a physical blueprint for a house is not detectable. Of course, we can measure the electro-chemical activity in the brain when a person is thinking, but that physical activity is not thought -- it is the product of thought. The engineering for the physical house has its genesis in the invisibility of the architects' thought, which comes from the architect's state of being; and all of this is a product of consciousness. 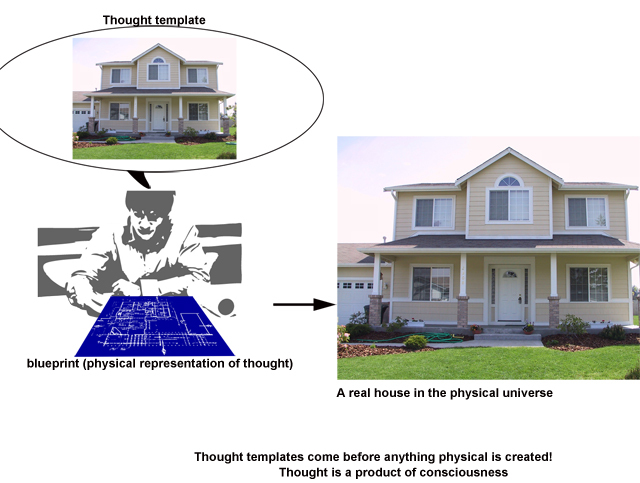 If you were to look at a house and say, "that house is just a bunch of thoughts," people would think you are crazy! But the house IS because of an invisible, programmable information system that exists on the subtle plane of thought and intention. If you could scramble or change that invisible template, we tell you that the house would change physically! This is the secret behind the technology that created the pyramids (and other large structures on your planet) in which massive stones were shaped and levitated into position. The magnet and the magnetic field also have a similar, programmable information system (Ken calls it a template). The point is that all physical form has one of these programmable templates, which is just information. Physical objects literally have their origin in thought and intent. A state of being establishes the nature of your intent, and guides thought. Human beings are immensely powerful and have the ability to change reality. Ultimately, matter, energy, space, and time are created by consciousness, which is the underlying Principle behind all that you perceive. A state of being is just an orientation of a conscious personality; for example, the architect is an architect because he created a state of being that says "I want to design and build structures." And so when you create a new state of being, you create an entirely new vibrational resonance that interacts with the physical universe both locally and universally. Let's go back to our magnet. Look carefully at the force lines of the magnetic field. The lines of force themselves are not separate entities; they are all just an excitation of an invisible, underlying field (the universal field). The arrangement of the force lines (and the physical structure of the magnet itself) comes about because of the magnet's invisible information system, or template, which describes what it is. This idea was referred by the ancients as the "quintessence" of the physical object. In Plato's Republic, physical reality is explained by looking at the shadows on the wall of a cave. According to Plato, the non-material abstract ideas, and not the material world known to us through the five human senses, possess the highest and most fundamental kind of reality. Plato asserts that the physical objects we see just mimic the real Forms, which exist on a "higher" level invisible to our physical perception. Plato is just describing the invisible information systems that define physical reality. What creates these invisible information systems that describe, program, and manifest the magnet, the magnetic field, the house, and physical reality? What creates a state of being that programs thought and intent, establishes your vibrational resonance (what vibrational island you are on) and results in physical manifestation in your daily lives? Consciousness. All right, we know these ideas are difficult, but we need to bring them out here. We are laying the groundwork. We are repeating ourselves, and coming at these ideas from different "angles" so that you can see them better, just as the blind men who touched the elephant from many different angles. We do this because this vital information exists outside the perception of the human senses, of instrumentation, and of science itself. When Ken understands them better, we will have much more to say and it will be clearer. Your state of being creates a purposeful and directed intention, just as the force lines of the magnetic field go outward in an organized geometric arrangement from the magnet. The only difference is that consciousness is not physical! In other words, both the magnet and the magnetic field are physical. Even the programmable etheric template that surrounds it has a physical component, even though it is invisible to the five senses of the body. Consciousness is what creates the etheric template that begins the whole process. What is consciousness? Consciousness is a static, a non-physical creative potential that can literally create out of thin air. Consciousness has no mass, no wavelength, and no motion or vibration; but it has the power to create and to observe what it has created. This is essentially the description of God. And this is what we mean when we say that human beings are enormously powerful. All life is an aspect of the One consciousness, which has created the universe and everything in it. If you understand this even a little bit, you will begin to step into your power. You will begin to realize that you do not live on a "prison planet," but rather in a universe that empowers you. However, you do have to step up and take that power! You have to extend your awareness of what is possible a little, beyond the strict limitations of the body's sensory apparatus. When you do this, you come into balance, for you marry the physical with your true, divine, spiritual nature, and thus become Whole again. All right, we want now to try to clarify the idea of a state of being a little further. We are almost done now, we promise. 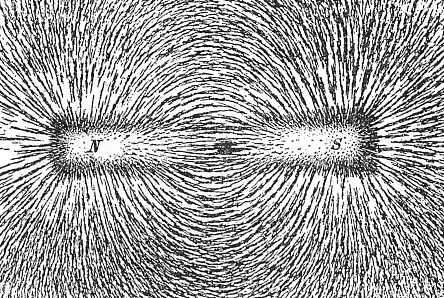 We are using the magnet example again, to illustrate the concept of a state of being, because almost everyone knows about magnets and magnetic fields, and also because it is a very good analogy to what actually happens. Let's say that you, a physical human being, are the magnet, and the lines of force surrounding you are created as the result of your directed intent. 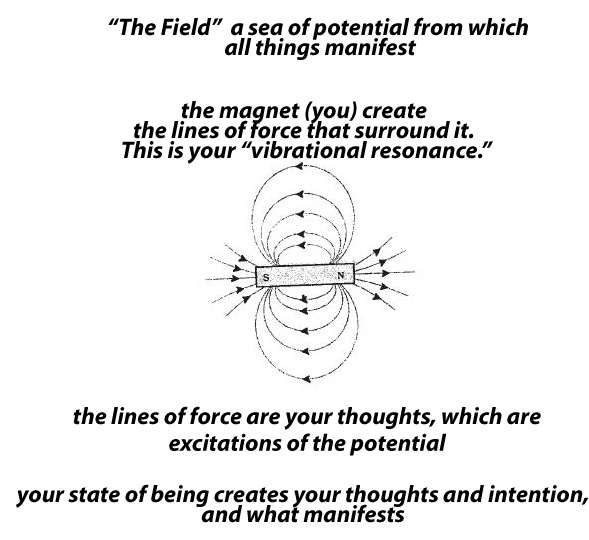 "The field" is the unmanifested potential from which the force lines and the magnet itself (your physical body) manifests. The geometric arrangement of the force lines comes about from your state of being and your intention. This what happens when you have a clear idea of exactly what you want: something definite and organized is created from the potential. 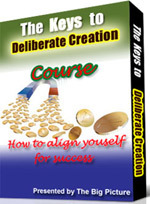 The clearer is your idea, the better organized and the more coherent is your manifestation. Your clear intent organizes the potential, and is represented by the beautiful arrangement of the magnetic lines of force. Your thoughts now become directed, and flow along the lines of force. All of this originates from a state of being. Here's the point: when you change your state of being, you also reprogram all of your thoughts, and change what manifests for you. It's very powerful! Here is an analogy. Ken has learned how to code websites and web pages. He knows that when you use CSS style sheets and php (a programming language) all you have to do is change 1 line of code and that change will be reflected in every web page on the site, no matter how many hundreds of pages the site has. If you didn't develop websites this way, every time you wanted to make a style change for the website, you would have to make hundreds of changes on every page individually, and that would take a long time. Traditional therapy tries to handle your issues one thought or belief at a time. However, changing your state of being is much more powerful because you can re-program yourself all at once. Humanity is in the process of changing it's state of being. We have talked for a long time on this show about the old paradigm of thought, and the new one that is being created; and how the old memes must come up for inspection and be acted out upon the stage of life, so that you can all decide in which direction you want to go. But underneath all of this thought is your state of being. Why do you have to dramatize the old thought forms before the new ones can become activated? Because, in this way, you become aware of your collective state of being. You gradually become aware of the state of being that created the old paradigm, which brings you finally to Cause Point, and to consciousness itself. Cause Point is the recognition of yourselves as the creators of your reality. We have said before how the human race is still an adolescent species, and this is because you have not yet recognized that all of you are at Cause Point! The old paradigm was created from a state of being of unworthiness and scarcity. When enough of you realize that, you will have an "aha!" moment. You will recognize the power of thought, but also the power of consciousness to create a new state of being that creates those thoughts. And when that happens, you make the "quantum leap" in awareness that we have been talking about. You see, we have been gradually building up to this message over the past 3 years or so. Here it is in a nutshell: 1) "Reality" is an interlacing and interlocking set of vibrations that manifest from the universal field (potential), which we have been calling "the field." 2) Energy is the excitation of the underlying field of potential, which results in vibration. 3) Solidity occurs when vibrations are tuned in to each other, or match up -- this is just the law of "like attracts like," or the Law of Attraction. 4) Manifestation occurs when energy is purposefully arranged in specific patterns of vibration. 5) All reality is the interpretation of vibration through a sensory vehicle. We know that this message may sound overly complicated to some of you, but that is because Ken cannot quite comprehend the powerful simplicity of it (you see, we always blame Ken for any of the shortcomings of these messages) [Oh they are laughing now, literally falling on the floor. Apparently they think that blaming me is a really funny joke! Something about Ken always wanting to be right, and now we have turned the tables on him, ha, ha, ha, ha! (yeah, real funny guys)]. Many readers have probably already seen this, but it's really cool. The Church of Rome is ready to baptize aliens! No video here, just audio, but you can follow it. Relates to Dr. Judy Wood's site above. Re-thinking the use of energy efficient light bulbs. They contain mercury. Copyright © 2010 by The Big Picture and Kenneth James Michael MacLean. All Rights Reserved. If you would like to reprint this article for your newsletter, eZine, or blog, contact the author at kmaclean@kjmaclean.com.